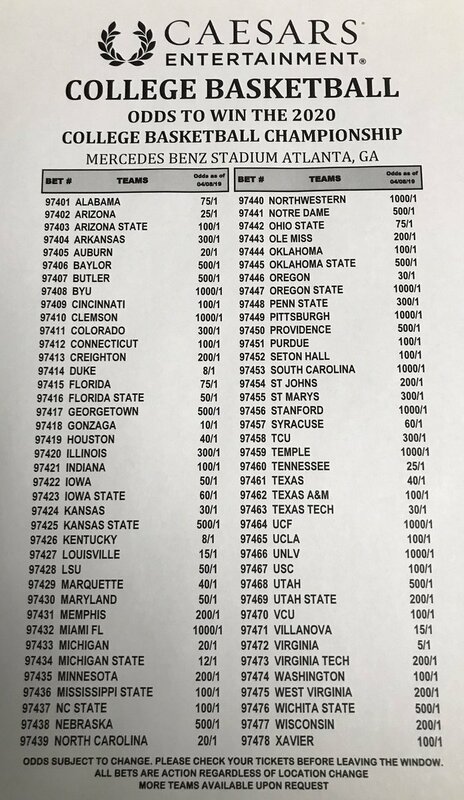 The 2018-19 college basketball season won’t officially end until Monday night, but odds makers in Vegas have already released early odds for 2020. Caesars Palace gives Chris Mack and the Louisville Cardinals 15-1 odds to win next seasons national title. Only five teams have better odds than the Cards. I would assume these could change depending what Jordan Nwora and Steven Enoch do. With both back these odds are certainly justifiable. The Cards would return most of their production from a season ago and are welcoming in a top ten recruiting class.